Fair Lawn has many entries on the National Register of Historic Places, and it is home to charming communities. The city was included on a list of the Best Suburbs in New Jersey to raise a family thanks to the low crime rate, exceptional schools, and abundance of nearby activities. Whether you’re coming or going from this historic, vibrant city, our Fair Lawn moving company can ensure you’ll make a smooth transition. 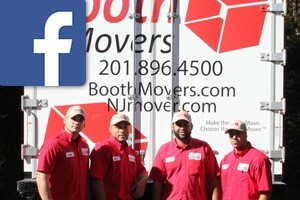 Since 1945, Booth Movers has provided moving services that go well beyond hauling boxes. Our Fair Lawn movers can handle all the details of your move with our full-service moving. We can also create a custom moving package that perfectly suits your needs and your budget. Don’t trust your move to just anyone. Instead, call on the proven services of our award-winning company. Residential Moving: Whether you’re moving a small apartment or the biggest home in town, our Fair Lawn movers will make light work of your relocation. Local Moving: Don’t endure the hassle of a DIY move. Choose our affordable local moving services instead. Long-Distance Moving: We’re Atlas Van Lines agents. That means we have access to the best moving professionals from coast to coast. International Moving: Shipping containers, customs, international laws: These are some of the details you won’t have to worry about when you choose our experienced Fair Lawn moving company. Full-Service Moving: When you choose our full-service moving, you just give us the moving date, and we’ll do the rest! Commercial Moving: Our efficient commercial movers will complete your move quickly, so you can get back to business. Specialized Moving: Your most fragile, valuable items are safe with us when you choose Booth Movers’ specialized moving services. Put our nearly 75 years of experience to work for you! If you’re planning a move, make your first call to Booth Movers. Give us a call, or fill out our simple online form to request your free, no-obligation moving quote.